Despite beating Chipolopolo of Zambia 2-1 at the Levy Mwanawasa Stadium, Ndola‎ on Sunday, ex international, Dosu Joseph has advised the team to focus on their next World Cup qualifier against Algeria on November 12. Goals from Alex Iwobi and Kelechi Iheanacho were enough to help the team claim a comfortable three points and move top of the group ahead of Algeria and Cameroon who played a 1-1 draw on Sunday, to remain on one point. The Atlanta Olympic gold medalist applauded the performances of the players against a ‘stubborn’ Zambian team and charged the Super Eagles to put the Desert Foxes of Algeria to the sword at the Godswill Akpabio International Stadium, Uyo. “I am so excited that the team picked up the three points against Zambia on Sunday and that has really put us in the driving seat in the group. 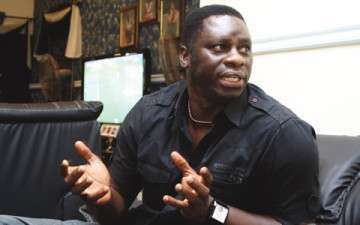 This is just the result the team needs at this point because it will definitely help the morale and confidence of the players,” Dosu told Soccernet.com.ng. “Having beaten Zambia, our next agenda should be on maintaining the momentum by overcoming the Algerians at the Godswill Akpabio International Stadium. It is important we win this game so as to put the team above our rivals in the group.